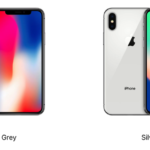 That iPhone X pre-order was intense, as my palms were sweaty, knees weak and arms were heavy, but luckily, our order went through for a November 3 launch delivery. Ordering via the Apple Store iOS app on our iPhone over LTE worked just fine, as we told you it would. Again, this year Apple has brought back Reserve and Pick Up for iPhone X, but as of writing, it won’t be reopening until Saturday, November 4 at 8AM local time. Reserve and Pick Up allows customers to choose their iPhone X configuration online, then pick it up at an Apple Store of their choosing. As of writing, all iPhone X stock is now sold out and showing shipping times of 4-5 weeks. That didn’t take long! What to do now if you’re out of luck? 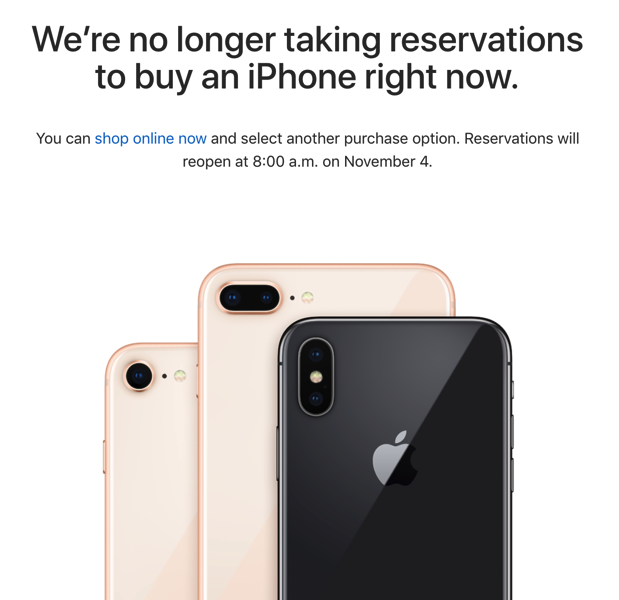 Bookmark this link, then set your alarm for 7:55AM local time on November 4, to try and nab an iPhone X for Reserve and Pick Up. If not, you’ll be waiting at least a month until you get your hands on an iPhone X.